MURDER, LIES, AND FAMILY . . .
DI Sam Clayton is called to a murder scene in Holt, not expecting to find his estranged sister at the scene. Her husband, Henry Lambton, has been murdered. Clayton is taken off the case and DS Julie Everett continues the investigation. Clayton focuses on a vicious arson attack in Norwich. The fire killed a Polish family in their home. It seems to be part of a series of racist attacks connected to an extremist group. The two crimes stretch the team and both come dangerously close to home. And can Clayton forgive his sister for what happened over twenty years ago? In a thrilling conclusion, they race against time to prevent more attacks and get justice for their loved and not so loved ones. THE BAD SISTER is the second in a new series of page-turning crime thrillers set in an atmospheric part of Norfolk. Perfect for fans of LJ Ross, Mel Sherratt, Colin Dexter, or Ruth Rendell. Detective Inspector Sam Clayton leads the investigation into the North Norfolk murders, joined the police straight from school as a beat bobby in Manchester before rising through the ranks of the CID. He was transferred to Norwich after being promoted to DI following a high-profile case investigated by Lancashire Constabulary. Detective Sergeant Neil Pringle lives with his third wife in Norwich, where he was born. But taking care of his two sons with his wife Megan, and two other children with previous wives, has put his finances under strain. He never misses a chance to shine in hopes of securing promotion, and can’t help showing off his local knowledge to colleagues. Detective Sergeant Julie Everett is an intuitive officer who was promoted to detective sergeant from her home town of Ipswich where she had a background in child protection. She is discreet about her personal life among colleagues, particularly about the tragedy which haunts her. She has to deal with a high-pressure job while raising her child who moved with her to Norwich. When I first visited the picture-perfect village of Blakeney and its seal colony on the north Norfolk coast, and watched the mist roll in, I remember thinking idly: this place would make a great setting for a murder mystery. Years later, when I began writing fiction, I had the perfect excuse to spend more time in that area where my relatives live. I decided that if my detective, Sam Clayton, moved from his (and my) native Lancashire to Norfolk, I could discover East Anglia in his company. So the Sam Clayton novels are inspired first and foremost by a place. When my husband died suddenly I was going through his things and began wondering how well I’d really known him. This got me thinking about how well we know anybody, and the secrets that we keep, and I decided to explore this specifically in the context of murder investigations. 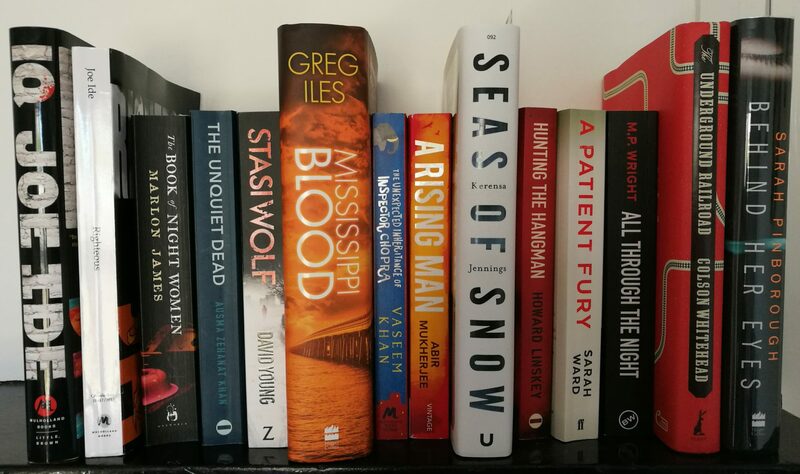 I’d also noticed that in crime novels the bereaved are often ignored or set aside in the story very quickly, and I wanted to recognise the reality for victims’ families as they struggle to come to terms with the sudden disappearance of a loved one. That’s why DS Julie Everett has experienced a personal tragedy which has haunted her for years and affected both her health and professional outlook. As for Sam Clayton, I find it fascinating to explore his complexities which become more apparent in the second novel in the series. I think it’s not always easy for some men to deal with strong women, and they can find us intimidating. He expresses his frustrations through aggression which can be misinterpreted by those around him. As he’s not prone to introspection, I’m not sure how well he knows himself, although he’d be surprised to learn that at least one colleague considers him to be a misogynist. I’m a Lancashire lass but for most of my career, I’ve been a foreign correspondent. I’ve reported from all over the world on some of the most cataclysmic events of our time, including the Egyptian revolution and the collapse of the Berlin wall. These days I’m based in Paris and concentrating on fiction writing. The first in a series of crime novels featuring Detective Inspector Sam Clayton, Murder On The Marsh, is out now. My first novel, Food Fight, was published in 2015. I’ve reported from Paris mainly for The Independent and The Guardian, but I also contribute to France24 television and Monocle radio. (I was The Independent’s Diplomatic Editor, while based in London). As a freelancer, I’ve written for The New Zealand Herald and The National (Abu Dhabi), as well as the LA Times, the New York Times, the Radio Times, the Oldie, Monocle magazine, Quartz, and Spark News. Between 2009 and 2012, I headed the Washington office of the British American Security Information Council (BASIC), a trans-Atlantic NGO focused on nuclear disarmament, during which time I was also a blogger and columnist for The Hill commenting on foreign affairs. During my ten-year stint on The Independent I was one of the few journalists to report from Iran, North Korea and Saudi Arabia. Earlier, I was a staff foreign correspondent with the French news agency, AFP, which posted me to Moscow during the incredible Gorbachev years. I also reported for AFP from France, and New York where I covered the United Nations. I started my journalistic career in Canada, arriving with two suitcases to seek my fortune in Montreal, from where I reported for British newspapers before getting a job on the Montreal Gazette. Before that, I was a postgraduate student at University College London whose French department nurtured my lifelong love of French literature. As a result, my own books include a dash of French spice.